Hong Kong has numerous attractions from theme parks to city tours and fine dining. However, not all these attractions are Muslim friendly or have halal food in Hong Kong. So for a list of activities that are Muslim friendly and halal Hong Kong has in store for you, continue to read the rest of the article. 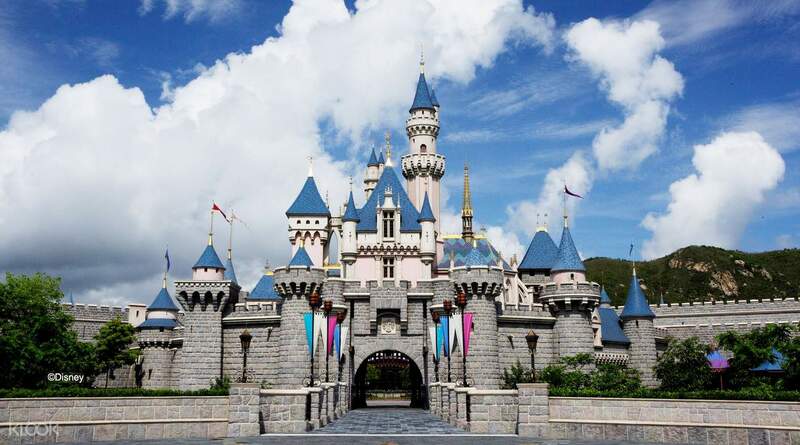 Hong Kong Disneyland Resort is located on Penny’s Bay, Lantau Island and is one of the largest theme parks in Hong Kong, occupying about 27.5 hectares of land. While the theme park consist of characters and attractions similar to that of its American counterpart, it incorporated elements of Chinese culture, customs and traditions. The massive theme has seven areas of different themes such as Main Street, U.S.A., Fantasyland, Adventureland, Tomorrowland, Grizzly Gulch, Mystic Point and Toy Story Land. The cast members of the park are adept at conversing in 3 languages, namely English, Cantonese, and Mandarin. The guide maps are also printed in multiple languages which are English and traditional and simplified Chinese. Apart from having an unforgettable time at this theme park, Muslim travelers can also find halal food in Hong Kong Disneyland. You can dine at the 2 Halal-certified restaurants within the park which are the Tahitian Terrace in Adventureland and Explorer’s Club Restaurant in Mystic Point. In addition, you can also perform your prayers at a prayer room right next to Explorer’s Club Restaurant, which is specially allocated for Muslim visitors. So for a day of non-stop fun and excitement at one of the most thrilling and Muslim friendly theme parks, be sure to visit Hong Kong Disneyland. 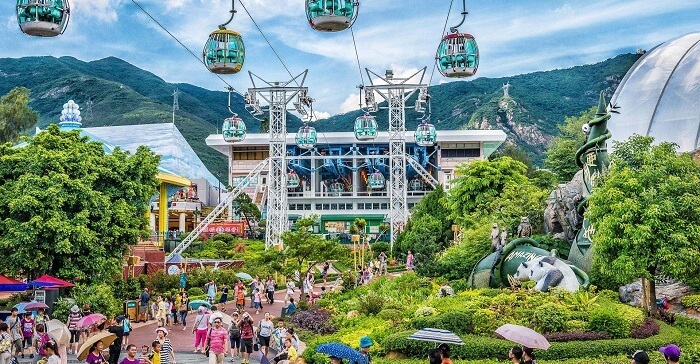 Ocean Park Hong Kong is another one of the largest theme park in Hong Kong apart from Disneyland Hong Kong and is located in Wong Chuk Hang and Nam Long Shan in the Southern District of Hong Kong. It is actually made up of an amusement park, animal theme park, oceanarium and a marine mammal park encompassing an area of 91.5 hectares. This humongous theme park has a mind-blowing 80 attractions and rides with four roller coasters, and also animal exhibits with different themes. Some of theses attractions include the Polar adventure, Old Hong Kong, Thrill Mountain, Rainforest, Marine World and Amazing Asian Animals. You will be treated to various features such as a massive panda habitat, rainforest and polar displays, as well as an aquarium featuring the world’s biggest aquarium dome. And if you are here and wondering where you can find halal places in Hong Kong, look no further than the Panda Food at Amazing Asian Animals and Dive Into A Float at Marine World. These 2 places offer a wide selection of Halal food including Hainanese chicken rice, beef balls dipped in tomato sauce, Tandoori chicken leg, garden green salad and fresh seasonal fruit. Be sure to visit Ocean Park Hong Kong for an exhilarating day with family and friends the next time you are in Hong Kong. Hong Kong was once filled with numerous junk boats which are now slowly disappearing from existence. But fret not, as the AquaLuna Harbor Day Tour will provide you with an unforgettable experience aboard one of the city’s remaining junk boats. Be mesmerized with the view of the harbor and surrounding neighborhoods such as Central, Wan Chai, Hung Hom and Tsim She Tsui while you busk in the ambiance if the water. 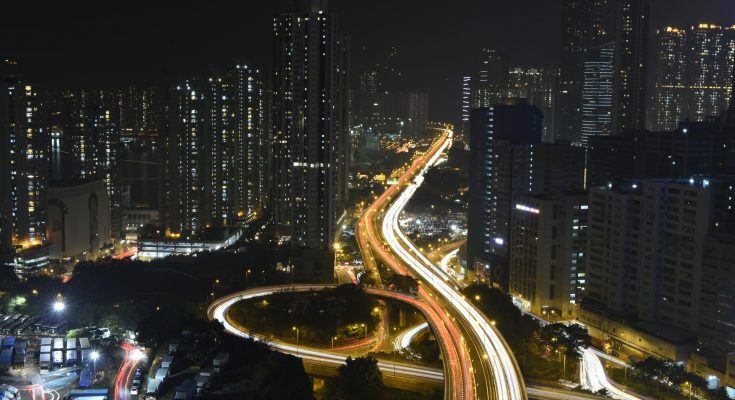 Since there are unlimited pick ups and drop offs at four prominent locations in Kowloon and on Hong Kong Island, you can enjoy the sights and attractions to your heart’s content. 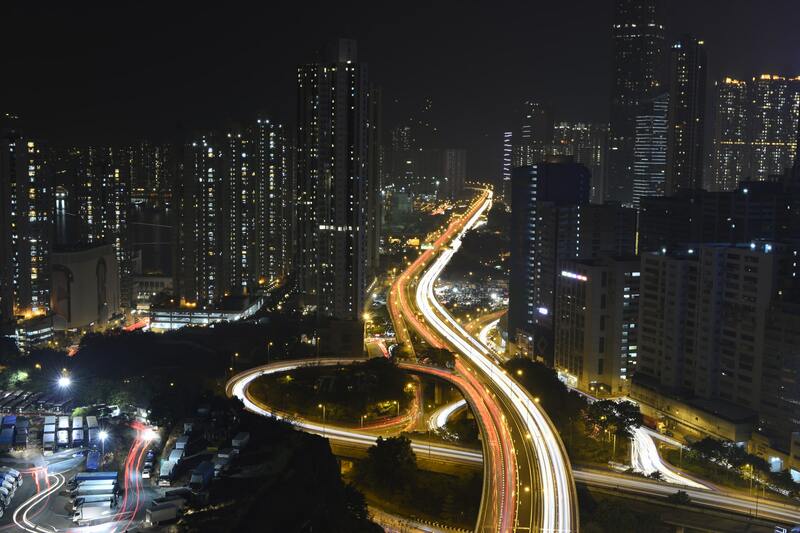 Some of these attractions include the Avenue of Stars in Tsim Sha Tsui, Central on Hong Kong Island and Hung Hom, a lively shopping and dining tourist spot. And you can also a few halal eateries nearby Hung Hom such as Ma’s Restaurant, Ah Lung Pakistani Halal Food and Istanbul Express Turkuaz Turkish Restaurant. 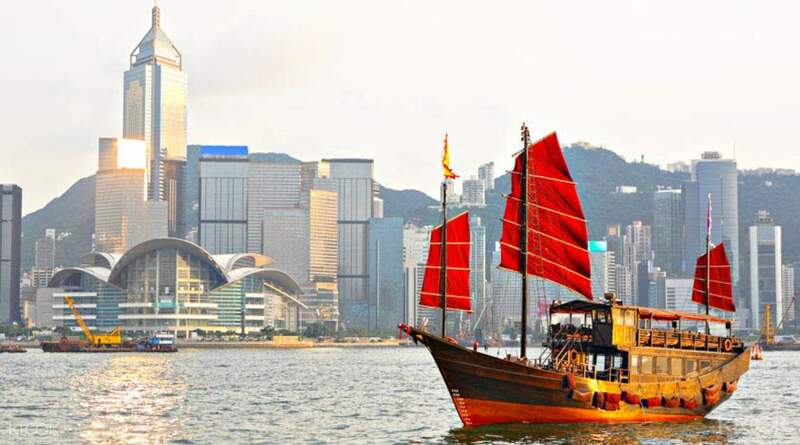 For a free and easy way to check out Hong Kong’s renowned sights with minimal commuter traffic on the water, you definitely have to try the AquaLuna Harbor Day Tour.